A least 142 irregular migrants were held across Turkey on Wednesday, according to security sources. 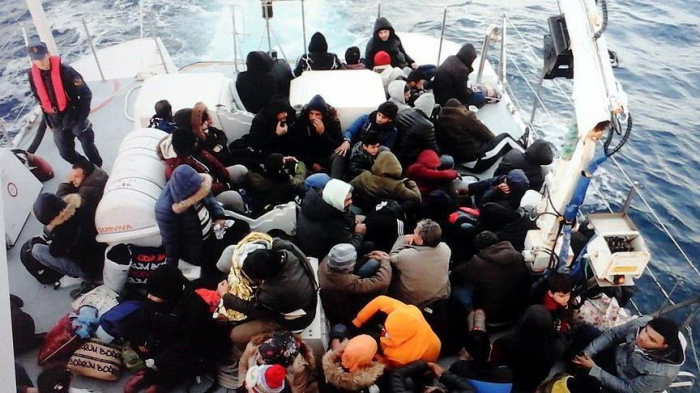 The sources, who spoke on condition of anonymity due to restrictions on speaking to the media, said 44 irregular migrants were seized in a sailboat in the Aegean Sea off the coast of western Mugla province. The migrants were trying to cross to Greece, sources said. In eastern province of Van and Erzincan, security forces rounded up 69 irregular migrants. Separately, border forces held 29 Syrians, who were trying to illegally enter Turkey in southern Hatay province, the sources added.